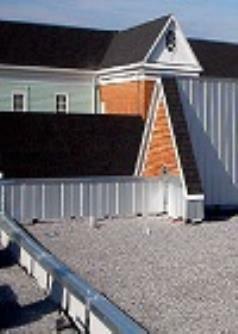 Pride and professionalism are the hallmark of Tip Top Roofing. Dealing with deadlines, complicated projects and people are second nature to the company, and commitment to perfection runs deep. This commitment is also seen in the professional approach established by Tip Top's corporate officers, whose extensive backgrounds in roofing and construction greatly add to our overall expertise. This permits us to provide the best finished product and makes us the Central Florida favorite for any roofing application that your commercial building may require. "take pride in their work."